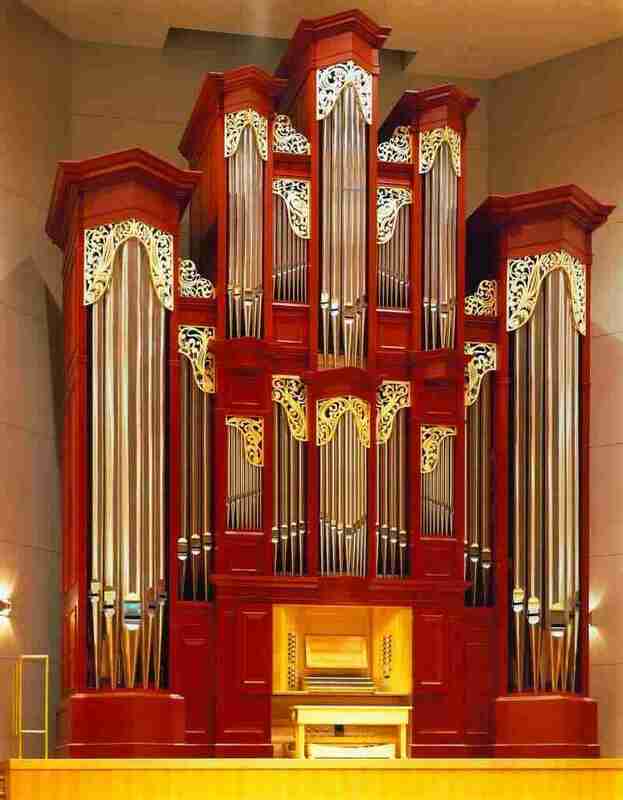 It was only a matter of five years before the St Andrew's instrument lost its claim to be the largest organ to be exported to Japan from Britain for half a century, because in 1995 the 30-stop concert hall organ for the Bungai Seminario Hall in Azuchi was completed. This instrument, influenced by the French romantic organ of the mid 19th century, has mechanical key and stop action but incorporates heavy duty solenoids and pistons with a multi-level memory and sequencer. Azuchi is distinguished by being the site of the first organ ever in Japan, imported by Portuguese monks some four hundred years ago. 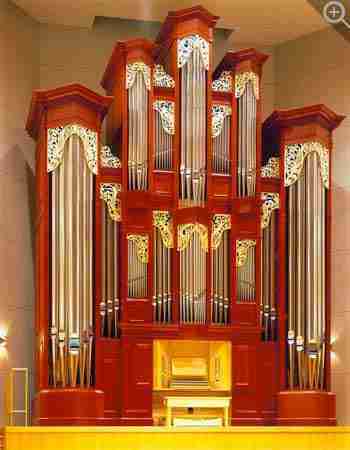 The Azuchi organ formed a prominent role in the 1995 Japan Organ Festival, being played by the present-day organists of Buxtehude's church in Lübeck and Bach's in Arnstadt. Before the organ was installed, the Seminario Hall lacked a focal point. The opportunity was taken to produce an instrument which would be as striking visually as it was tonally. The bold move to produce a red case was well received in Japan, the colour being associated with good luck and fortune. Although traditional proportions have been employed in the construction of the case, modern elements have been introduced discreetly to produce an instrument clearly related to the contemporary design of the Hall itself.